Eighty-one million people consume more than 100 million hours of Neflix programming every day on this wildly popular app. Netflix launched in 1999 and is worth $42 billion today. I started thinking about how it became an addictive consumer habit that’s also disrupted the media consumption ecosystem and the many feeder systems associated with it — like advertising. And whether there was anything that payments and commerce can take away from its success as everyone today jockeys for position to become the next addictive digital consumer commerce habit. I think so. So, settle in with your cuppa joe and see whether you agree. When Netflix launched, the way that consumers watched movies at home was to either hope for the best via network TV (and probably be sadly disappointed) or travel to one of more than 19,000 video rental stores to rent one. The big daddy of the video rental industry at the time was Blockbuster, and it operated more than 4,500 such outlets. But we all know how that movie ended, don’t we? Blockbuster went bust 11 years after Netflix came onto the scene. So, what did Netflix do right that Blockbuster didn’t? If you said “successfully anticipate the move from a physical to a digital world,” you’d be right — but only partially. You’d be missing the one big, huge, gigantic, super-sized fundamental lesson to all matchmaker businesses if igniting and building a profitable one is the plan. Netflix identified and solved for a friction — a big one. Blockbuster’s business created a revenue dependency on a consumer friction that was an integral part of its service, delivery and revenue model. Netflix saw that same consumer friction as an opportunity to build a new service, delivery and revenue model. Netflix turned that opportunity into the $42 billion business that it is today. Blockbuster filed for bankruptcy in 2010 with a market cap of $12 million, down from $4 billion just a decade before in 2002 — the year that Netflix IPO’d. So, what was that friction that created Netflix’s sizzle and Blockbuster’s fizzle? Forcing consumers to rent and return movies in a narrow window of time — or else pay late fees if they didn’t. After, of course, making consumers spend a bunch of time traveling to and from the store to pick up and return them. SO, LESSON NO. 1 FOR PAYMENTS AND COMMERCE? Really zero in on — and dig deep — to uncover the frictions that exist and then figure out how to eliminate them in ways that delight your customers. That means really and truly understanding how you can simplify and add value to something that this stakeholder is already in the habit of doing. Make what they do better and more valuable — and they and your bottom line will thank you. In 2000, late fees were 16 percent of Blockbuster’s total annual revenue — a tidy $800 million. In 1997, Reed Hastings contributed to that pile of revenue when he paid Blockbuster a $40 late fee for keeping “Apollo 13” out for six weeks. At the time, it wasn’t as if the $40 put a crimp in the Hastings’ family budget — he’d just sold a company for $700 million. Rather, Hastings was reported to have said it was the “embarrassment” over having to pay the fee. Returning “Apollo 13” required Hastings, or someone in his family, to get in the car and drive it back to the video rental store while the store was open. Life probably just got in the way of doing that six weeks earlier. Face penalties if the rented movie was returned late. Now, it wasn’t as if Blockbuster was being totally egregious by assessing late fees. Having inventory in stock was pretty important to its business model. Consumers were probably pretty bummed out waiting to rent the copy of “Apollo 13” that was sitting in the Hastings’ family room for six weeks. And Blockbuster was probably bummed out, too, since if that consumer wanted to watch “Apollo 13” badly enough, they went somewhere else to rent it. But at $800 million a year, Blockbuster really didn’t have a giant incentive to relax its policies too much either. Every other video rental store followed the same policies — Blockbuster’s wasn’t better or worse than its competition in that regard — and since they had more locations and a better movie selection, consumers complied or paid up. Until, that is, Netflix entered and began to get traction. Blockbuster first eliminated those late fees and then brought them back but dialed them down. It was too little, too late, though, as the platform death spiral from which it would never be able to recover from had already begun to spin into motion. Blockbuster was very focused on being the very best it could be in its own category: physical store video rentals. It never saw Netflix coming, and even when Hastings approached the Blockbuster CEO in 2000 to buy the company for $50 million, it was dismissed as a money-losing “niche business.” Not really understanding the real source of friction for key stakeholders creates the competitive blind spots that can kill even the most successful established players at some point down the road. Remember, it’s not the competitors who replicate what you are doing that you need to be most concerned about — it’s the ones who are eliminating the real frictions you’ve not identified and, therefore, may not even be in your line of sight today. Before it entered the market, Netflix spent a lot of time researching the customer that it wanted to better serve. It knew that consumers had grabbed onto the notion of time-shifting content years earlier with VHS and the machines capable of both recording television shows and showing movies using VHS cassettes. By 1996, 85 percent of U.S. households owned a VHS recorder. DVDs came along in the mid-1990s, too. And for consumers already hooked on VHS and movie-watching at home, it was an exciting upgrade. DVDs were a superior technology and a medium much easier for consumers to use (no rewinding) and store. A few years later, by 2000, 25 percent of consumers in the U.S. had a DVD player in their homes. It was also dubbed the most popular consumer electronics product of its time. DVD player sales doubled from 2000 to 2001 as manufacturers flooded the market with new devices. Prices dropped from $700 and $800 to $300, on average. And as went DVD player sales, so went the sales and rentals of DVDs. By June 2003, DVD rentals overtook VHS rentals. Netflix, sensing this momentum and observing the friction inside the business in ’98 and ’99, jumped with both feet, right into the middle of this popular consumer trend. With devices in consumers’ homes capable of supporting DVD technology, there was no hardware barrier for Netflix to overcome or concerns about entering a market with too few consumers interested in what it had to offer. Instead, Netflix drilled in on the consumer friction associated with every other aspect of the DVD rental process. Starting with making the trip to the rental store. Netflix’s research told it that most consumers really didn’t want to go to the video rental store to pick out the movie they wanted to watch. Sixty percent of consumers, in fact, even knew what they wanted to watch a week in advance. That meant that most consumers went to the store to pick up the movies they had already decided they wanted to rent. Going to the store, therefore, was a necessary — and unpleasant — means to an end. Consumers, it also discovered, typically rented five to seven movies a month. That meant 10 to 14 trips to the video store every month — one trip to rent the DVD and one trip — one to three days later — to return it. At roughly a half hour each way, that’s about five to seven hours a month that consumers were spending just traveling back and forth to the video rental store. Tapping into that existing consumer behavior, Netflix’s initial innovation was to create an online ordering queue that allowed consumers to choose up to 25 DVDs at a time and to put those requests on a list. Consumers could keep out three DVDs at a time and keep them for as long as they wanted without incurring late fees. DVDs were delivered to the consumer by the post office and returned the same way. When consumers sent their DVDs back, the next one on their list was sent to them automatically. All for one monthly subscription fee, no late fees and totally driven by the consumer’s timetable, not Netflix’s. Obviously, Netflix had its work cut out for it in creating a sophisticated content sourcing, inventory management, packaging, fulfillment and delivery process — and that became its focus. Netflix got its marketing flywheel going by inserting coupons for 10 free rentals inside the DVD players consumers were buying at the time. Hastings and company knew that, if consumers used them 10 times, they would have them for life. Over the next several years, Netflix disrupted the video rental market by zeroing in on what consumers didn’t like about the then-current video rental process: being forced to watch a movie in a time frame that was convenient for the video rental store — or else pay big time for it. That payment happened in one of two — or even both — ways: by paying late fees and spending an hour, round trip, on trips to the video rental store. Netflix succeeded at launch because it didn’t ask consumers to change what they liked to do — watch movies — or buy new hardware to take advantage of what it was introducing. In its early days, it focused on making what they liked to do a better experience. And it did that by leveraging existing ecosystems — DVD content, the USPS, DVD equipment makers and retail outlets that sold them — and investing in proprietary technologies that could ride those rails instead — software that enabled subscription queuing, tracking and payments, packing and supply chain management. Hastings’ vision was never just to be in the mail-order DVD rental business. Giving consumers the flexibility to watch their favorite movies whenever they wanted to, without penalty, was a core proposition that he felt he could make even stronger. And that he did by leveraging the next big consumer trend: the availability of internet broadband in the home. That technology would only strengthen Netflix’s initial launch premise. Not only could consumers continue to have “all-they-could-eat” access to content, without penalty, with streaming, but they could stop and start any program on demand. In 2007, with 7.5 million total subscribers to leverage, Netflix entered the video streaming business. At launch, Netflix allowed consumers to hop onto a hybrid plan that allowed them to rent DVDs, stream or do both. Unlike the video-on-demand competitors at the time, who simply ported the video store rental model online — pick a movie, rent it and then watch it 24, 48 or 72 hours later or be charged again to watch it — Netflix allowed consumers to start and stop programs at will. Any consumer could begin watching any one of the 1,000 titles it launched without worrying when they started watching it or how long they had to finish it. What’s more, consumers got to discover, without penalty, lots of new content that they perhaps hadn’t heard of before. There was no financial penalty for starting something and then stopping it if it wasn’t to their liking. The flip side, of course, was that, over time, consumers got hooked on things that they might not have ever taken a chance on if they were forced, for a fee, to make a decision to rent it. Netflix was able to accommodate this arrangement because of one business model decision it made and one crucial asset that it was able to leverage. The business model decision, at first, was to pay for content upfront instead of paying based on how many people watched it. Netflix could afford to give consumers all-they-could-eat access to content because it had prepaid for the right to stream it as much as its customers wanted, giving it an economic model to support an all-they-can-eat proposition. What Netflix bought at the time was long-tail content — the stuff that those competing more broadly for content didn’t want. For instance, Netflix bought the TV series that only ran for two seasons — not the four that local stations typically wanted to buy or older series that weren’t able to attract enough viewers. Netflix could make those bets because it had lots and lots of data over its six years of being in business to understand what consumers wanted to watch and how much they liked it. Netflix used that data to better target and acquire that long-tail content. When Netflix streaming launched, it could do so because it had a density of both content and consumers — density as defined by enough consumers interested in enough of the long-tail content to keep them interested and paying their monthly subscription fee. It also contemplated — and rejected — building its own hardware and distributing it to existing users to host its streaming service. Just like its market entry six years earlier, it made a bet that scale would be better achieved by giving consumers a service that could be used on the devices that enough consumers had and were using. At launch, those were game consoles, like the Xbox, computers and the iPad when it launched in 2010. In 2010, just three years post-streaming launch, Netflix doubled its overall number of subscribers, half of whom were reported to be using the streaming service by that time. That year, Blockbuster filed for bankruptcy with only 1.2 million subscribers on its streaming platform, no doubt ruing the day that it rejected Netflix as a badly managed niche player that would go nowhere. Density of demand is a critical concept in igniting matchmaker businesses and requires careful design, pricing and engineering decisions. 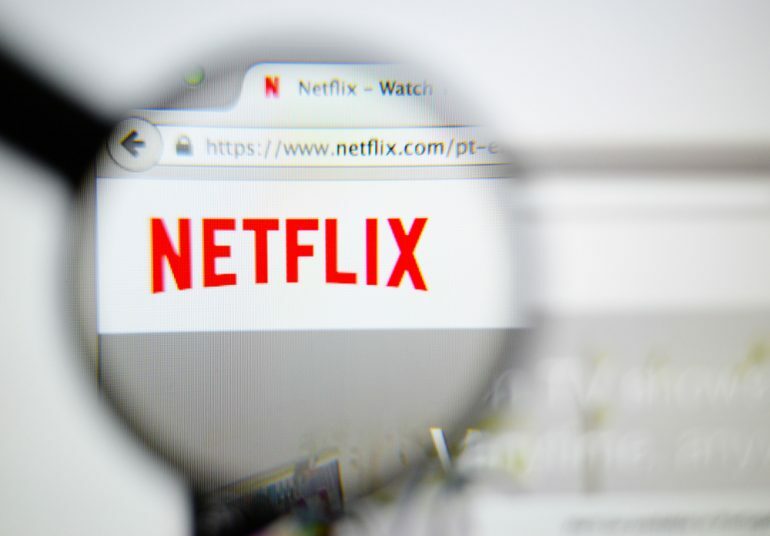 Netflix started streaming with a thin catalogue of content but, according to its data, enough customers that were interested in enough of the long-tail content to keep them interested. Its “all-you-can-eat” business model eliminated the risk to consumers of trying that content, which created the positive feedback effects to keep the revenue humming and more subscribers joining the platform. Today, Netflix has given rise to a whole new set of consumer habits that has created a massive ripple effect on the media ecosystem. Research conducted earlier this year reports that television network viewership dropped 3 percent last year and that Netflix was responsible for 50 percent of that drop. Netflix subscribers watched CBS shows 42 percent less, Fox 35 percent less, ABC 32 percent less and NBC 27 percent less. The 29 billion hours of streaming programming that Netflix customers watched in 2015 accounted for roughly 6 percent of total American TV viewing in 2015, up from 4.4 percent in 2014. Not surprisingly, traditional TV advertising is feeling the pinch as consumers shift their viewing habits to the advertising-free platform called Netflix and away from the network programming. So, too, are the cable operators. Fifteen percent of U.S. adults have cut the television cord and no longer subscribe to cable; another 9 percent never had a subscription to begin with. Apps and the internet satisfy the cord-cutter’s appetite for news, and Netflix provides them with what they need to keep themselves entertained. On that score, Netflix today offers 4,333 movies and 1,197 shows — a number that’s down roughly 30 percent from 2014 but reflects its deliberate focus on exclusive content, like “House of Cards,” “Orange Is the New Black” and my current obsession, “Bloodline,” to keep its customers sticky and well-serviced and its economics in check. Netflix is now offered worldwide, in 190 countries, including in China. When it reported earnings in April, Netflix beat analyst expectations for total number of paid subscribers, despite price increases for some customers in the U.S., but disappointed The Street with respect to its growth internationally. That’s where the company acknowledges it needs to put the pedal to the metal to really rev its model into high gear. But still, even with more than half (58 percent) of its 81 million customer base in the U.S., there’s plenty of room to grow inside of the 100 million broadband subscribers that exist in this established market. It’s also now facing some stiff competition — from the same player who’s creating competition for a number of payments players more broadly but also from others that Hastings acknowledges are a far greater threat. Amazon, of course, launched its own video-on-demand service in 2008 but pivoted this past May when it launched its “Video Direct” service to rival Netflix streaming. Free to Prime subscribers, it offers an all-you-can-eat buffet of programming, including original series, like “The Man In The High Castle,” as well as a bunch of movie and show titles that Netflix doesn’t offer. While Netflix will, no doubt, keep its eyes peeled on the competitor to its north, the competitor Hastings fears isn’t Amazon. It’s the competition for the consumer’s precious downtime — a consumer with more money to spend seeking out and fulfilling those relaxing pursuits. Calling Netflix “a little boat in a vast sea” of entertainment options, Hastings and team are focused on the broader set of competitors that vie for the consumer’s time, attention and money: video games, web surfing, checking Facebook and/or watching YouTube videos. Maybe that’s harkening back to the days when Netflix was the new entrant against an incumbent focused only on the market it had and the competitors who served that market, making sure that it stays focused on the competitors that it can’t easily see today but compete with them for the consumer’s free time. And why it’s no one’s surprise to learn of its launch just yesterday of Flixtape, a way for users to mix up video clips around a theme to send to their friends. Matchmakers disrupt not only the segments they enter but others with dependencies on those displaced or disrupted players. But disruption can be a two-way street as changing market dynamics often surface traditional and nontraditional competitors that can threaten or challenge a core, revenue-essential stakeholder to a matchmaker that is, itself, a disruptor. Shifts in ecosystems can happen quickly, and matchmakers must be clear on how the markets they are serving and the frictions they are eliminating are being served by direct and indirect competitors — and then respond accordingly. Stories like turning a $40 late fee into a $42 billion business are few and far between, and even this commentary probably understates the complexity and hard work that it took for Netflix to become the company that it is today. It might also be that, after reading this, you’re tempted to think — what’s so hard about following those five lessons? They seem like the obvious things to do. But the problem with 20/20 hindsight is that it’s only easy after the fact. The hard — and very successful — decision that Netflix made in 1998 was to decide how to give the consumer, in this case, an experience that would make something that they were already doing so much better. And then, it executed with precision. It also could have done a lot of things. It could have opened a cooler video store that consumers didn’t mind driving to with more lenient late fees. It could have packaged its mail-order DVDs with proprietary hardware or insisted on asking consumers to buy a branded set top box or piece of hardware to stream its content. It could have only made the app available on certain operating systems or devices. It could have made the experience an incredibly cool video on-demand service with top-tier content that it licensed, just like everyone else did, from the jump. It did none of that. Instead, it focused on the big consumer friction and then designed and priced a service to eliminate it for the consumer. It didn’t ask the consumer to change their habits; it just made how they did what they were always doing better, using the devices that they had or wanted to buy anyway. And it entered with a business model that its $4 billion incumbent competitor couldn’t replicate or match and that eliminated the risk to consumers of discovering and then getting hooked on new types of content. If that sounds exactly like what you’re doing today for your stakeholders then, congratulations, you’re on your way to becoming the Netflix of Payments and Commerce. More likely, though, it probably doesn’t. In which case, it’s time, perhaps, to go back to the drawing boards before the Netflix of Payments and Commerce makes it all a moot point for you.